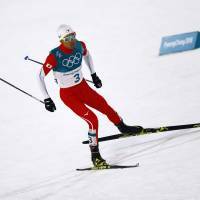 PYEONGCHANG, SOUTH KOREA - Just 4.8 seconds separated Akito Watabe from Olympic gold at the Pyeongchang Winter Games on Wednesday, as the Nordic combined athlete was left stranded when defending champion Eric Frenzel turned on the final-kilometer afterburners to claim the championship. Frenzel became just the third man to defend the Olympic men’s normal hill 10-km title, with Watabe the runner-up both times. Finishing 13.3 seconds behind Watabe, Austria’s Lukas Klapfer, collected his second Olympic bronze medal. After setting himself up with the third-best jump of 123.7 point, Watabe was a permanent fixture in the leading cross-country group. But Frenzel, who started the ski leg 8 seconds behind the Japanese, put down a powerful burst of speed on an uphill section to break away. Reigning world champion Johannes Rydzek, whose 101.0-meter jump earlier in the day saw him start the cross-country leg with an ultimately insurmountable 1:26.0 deficit, finished fifth, 27.9 seconds behind his countryman Frenzel. 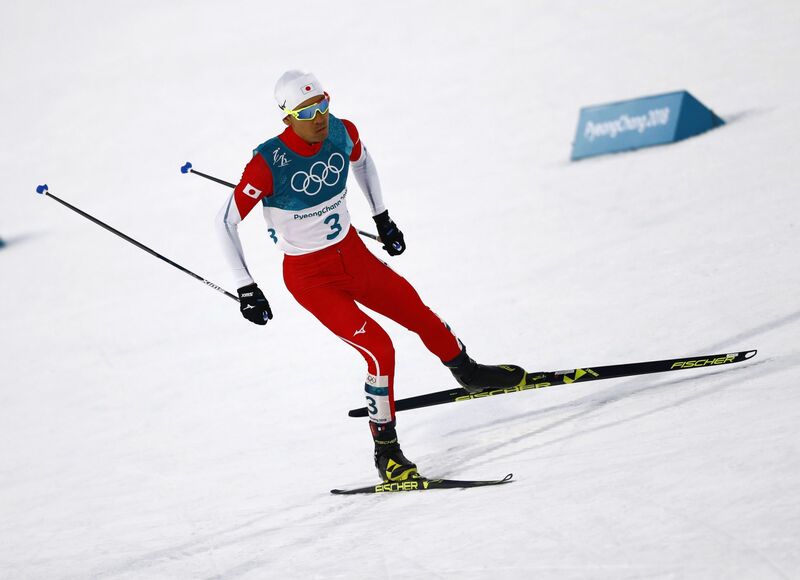 Norway’s Jarl Magnus Riiber was unable to convert the second-best jumping score into a medal when he finished fourth after dropping well behind the leading three with approximately a kilometer to go. Yoshito Watabe, Akito’s younger brother, finished 12th, a three-place improvement on his Sochi result. Hideaki Nagai put in an excellent cross-country leg to maintain the 14th position he held after the jump, while Go Yamamoto skied to 33rd, dropping 18 places after his fine 104.0-point jump. With Japan still awaiting its first gold of the Pyeongchang Olympics, Akito Watabe is looking forward to his remaining events. “Four years ago, I probably became a bit complacent after getting a medal in the normal hill, but this time I’ve promised to bring home a gold so I’ll do my best in the large hill and the team event,” he said.